The New York Times has an article about a Hong Kong born/based architect who has maximized his 344 square foot studio apartment. 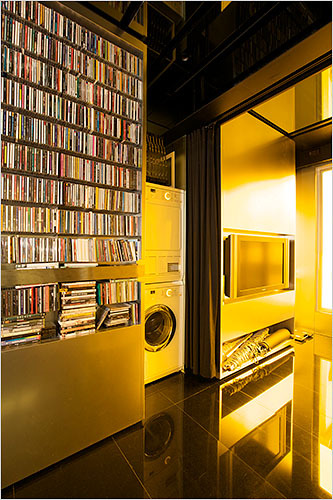 Gary Chang has lived in this apartment for the last 32 years and recently spent over $200,000 improving it to by creating 24 different floorplans, uses and spaces. He does this with moving walls, murphy beds, and hydralics. It would be an understatement to say this is a cool apartment, in fact, it bares some similarities to Harrison Ford’s apartment in Blade Runner. Previous: Are REIT’s the canary in the mine?